NASHVILLE, Tenn. – Get ready to take a ride in “The Pickup” as Dylan Scott celebrates his first No. 1 single, “My Girl.” Only a few short months ago, Scott was featured in The Pickup and Coming segment highlighting the single. 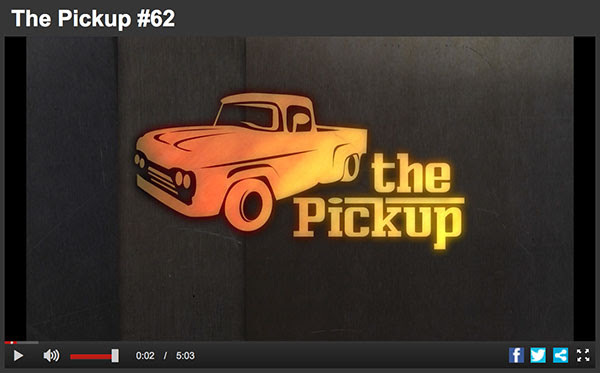 In honor of the special occasion, The Pickup has a special encore presentation of Scott’s Pickup and Coming. Looking for something to do over Labor Day weekend? Ricky Skaggs will be performing his first country concert in 20 years in Nashville on Saturday, September 2 at The Nashville Palace. On October 25, two of country music’s biggest icons will be performing together for the last time. Dolly Parton and Kenny Rogers will get on stage together for the last time at Bridgestone Arena in Nashville for Rogers’ farewell concert, All In For The Gambler. Rogers stopped by The Pickup headquarters where he revealed it was all Parton’s idea. The Pickup got the chance to talk with Cozi Zuehlsdorff andKaitlyn Bausch from the cast of “Pure Country: Pure Heart,” and the two shared their favorite part of the movie - the music. The movie is available exclusively at Walmart stores on DVD, Blu-Ray Combo Pack and Digital HD everywhere.